Berlin, 19 April 2017 – The decision has been made: Nicola Baumann, a Eurofighter pilot from Cologne, and Insa Thiele-Eich, a meteorologist from Bonn, have won over four other candidates in the finals of the initiative “Die Astronautin. The two women from NRW convinced the jury and thus secured the two coveted training places. One of them is to be the first female German astronaut to fly on a research mission to the ISS by 2020. More than 400 women from all over the Federal Republic applied for the job as the first female German astronaut in space. 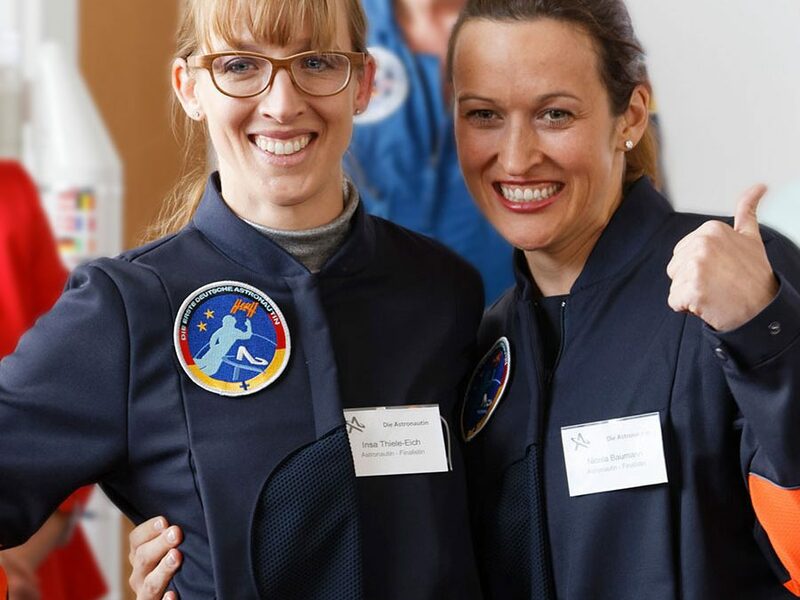 Nicola Baumann and Insa Thiele-Eich have qualified for the astronaut training. 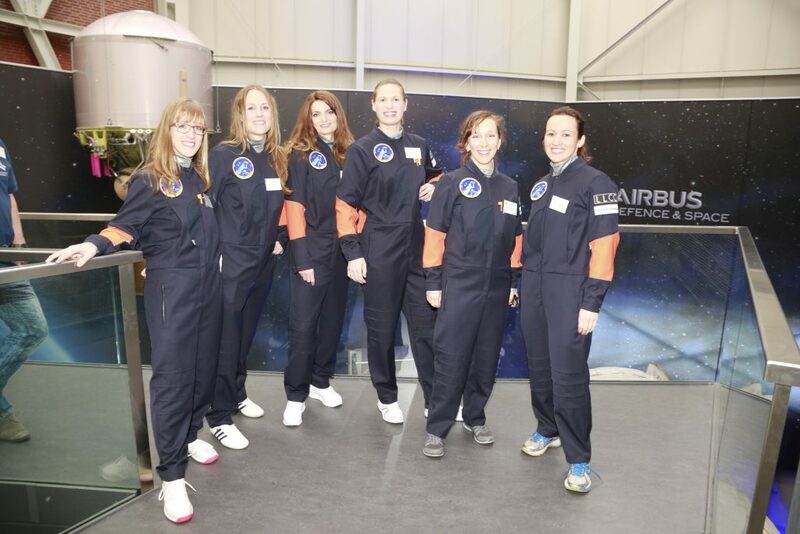 Both women passed the medical-psychological suitability selection of the German Center for Aeronautics and Astronautics, which is based on the ESA standards. This makes them ideally suited for a research mission on the ISS from a technical, medical and psychological perspective. In the end, a jury decided for the two candidates. The jury based its decision on an eight-criteria catalog, which is also based on the selection criteria of previous astronauts. Nicola Baumann, born in Munich in 1985, is a Eurofighter pilot at the German armed forces in Nörvenich near Cologne. She has the rank of Major and is responsible, for example, for airspace monitoring in Germany and friendly NATO nations. After officer training, this Munich native trained as combat aircraft pilot and completed a postgraduate course in mechanical engineering. Speeds of more than 2,000 km / h have been part of her everyday life. Insa Thiele-Eich, born in Heidelberg in 1983, is a meteorologist and scientific coordinator at the Meteorological Institute of the University of Bonn. She conducts basic research for improved weather and climate prediction and, for example, the water or energy exchange between soil, vegetation and atmosphere. In her doctoral thesis, she analyzes the effects of climate change in Bangladesh. She studied meteorology at the University of Bonn. 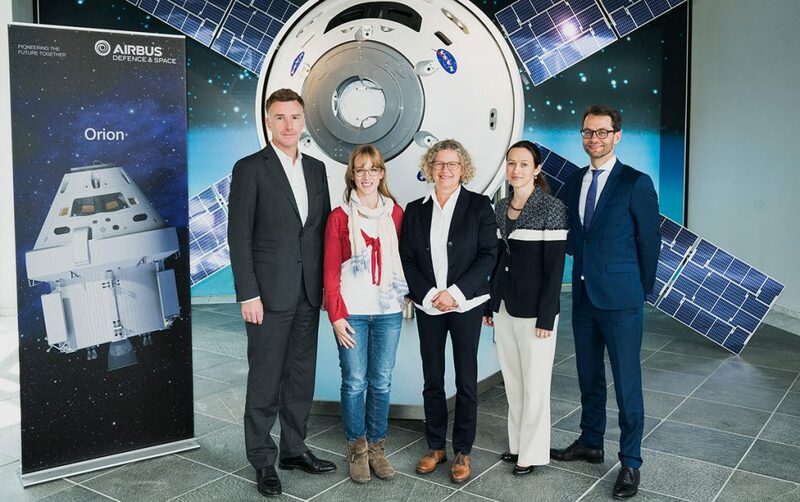 The jury consisted of Prof. Dr. Pascale Ehrenfreund (Chairman of the Board, German Aerospace Center), Dr. Johannes von Thadden (CEO of Airbus Defense and Space) and Prof. Dr. Ulrich Walter (German astronaut and professor at the Department of Astronautics at the Technical University of Munich) and Claudia Kessler (CEO HE Space, initiator ” Die Astronautin “). Brigitte Zypries, Federal Minister of Economics and Energy and coordinator of the Federal Government for Aerospace, supported the selection as an special jury member and met the two women in the morning. The jury decision was the conclusion of a more than fifteen month, multi-stage selection process from a total of over 400 applicants. 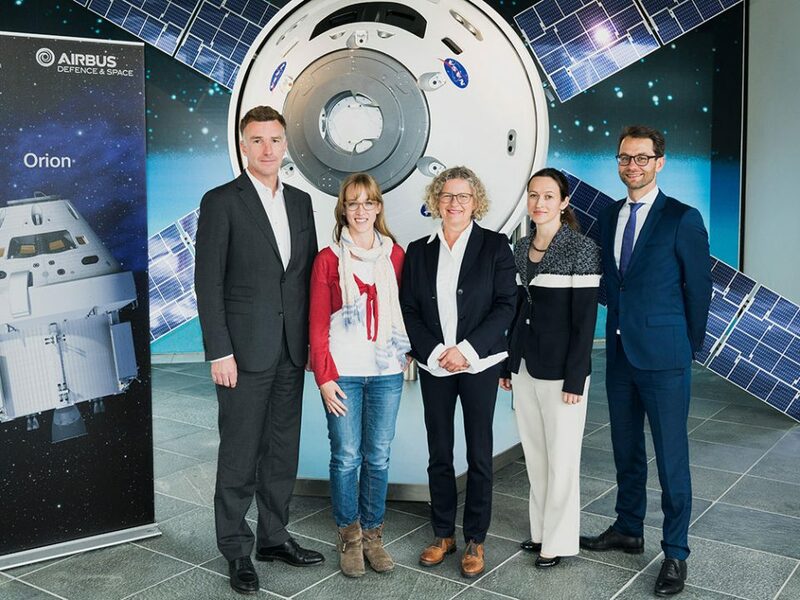 The next steps: Nicola Baumann and Insa Thiele-Eich are expected to start the astronaut apprenticeship in the third quarter of 2017. Training lasts at least two years. In the course of the process, it is decided which of the two women will fly to the ISS. The first training session will be financed by the crowdfunding campaign, which runs until April 30, 2017. For more information, see https://www.startnext.com/dieastronautin. Video material is available here: https://we.tl/q6glqUEXxq (Source Hill Media). About “Die Astronautin”: The initiative “Die Astronautin” aims to send the first female German astronaut on a research mission to the ISS by 2020. On one hand, Die Astronautin seeks to inspire women and girls towards technical professions and a study of natural sciences. 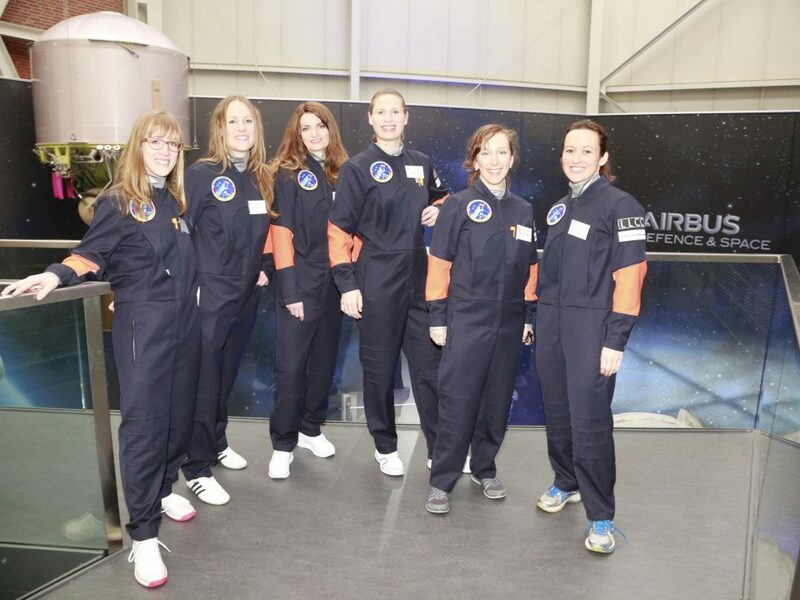 On the other hand, during an ISS stay, Die Astronautin seeks to study with an experiment program how the female body reacts in weightlessness. Further information on the astronaut at: www.dieastronautin.de and at www.facebook.com/DieAstronautin.